Terrific opportunity to own a 3 unit commercial building located near 44th Street and Division with a lot of upside potential! Daily traffic counts are over 22,000/day with great exposure. The City of Wyoming has also proposed to rezone the property to Form Based Code. Call today to view the property! Still time to pick wall colors! This new 2 bedroom, full bath cottage on Guernsey Lake will make a perfect get away. Energy saving measures and over 500 ft of frontage and multiple docks will make this a great retreat! Welcome home to this Manistee ”cottage”. Wonderful 4 bedroom home boasts a large kitchen, new flooring, main floor master, mud room, and central air. Located across from Sands Park and a short walk to downtown, call to see it today! 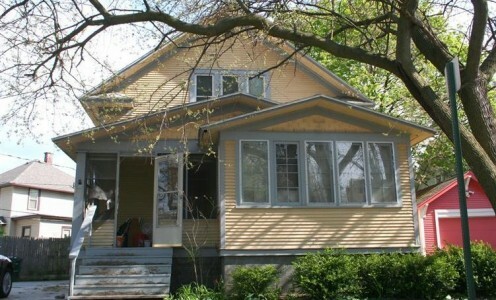 Large 3 bedroom, 2 full bath traditional style home in walking distance of Muskegon High School. Most of the original woodwork is still there. Open oak stairway and refinished hardwood floors in the extra large living room. Kitchen, bath, windows, and furnace have all been updated. Maybe you’re considering buying or selling for the first time, or perhaps you’re a seasoned pro who is looking for your next real estate investment. Each scenario presents its own unique pit falls and challenges, but a licensed Realtor can help you navigate through the process with ease. With years of experience, a remarkably helpful team, and all the resources a company like Keller Williams brings to bear, I am confident that I can assist with your real estate needs. Don’t take my word for it though, browse my site and you’ll likely find out why so many families have trusted me to help find their next home and why real estate professionals have gained such confidence in my services. Feel free to contact me to discuss your unique situation; I promise to give you the time and attention needed to make you feel completely comfortable with the buying/selling process.